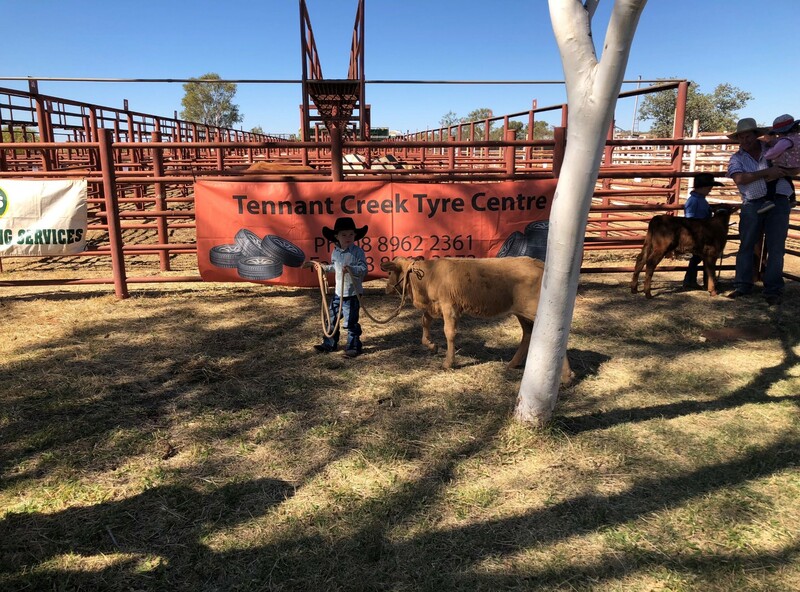 The 2018 cattle section saw record numbers, with 50 pens presented (total 95 head). Cattle came from across the Barkly, and as far as Mallapunyah Springs and Katherine. 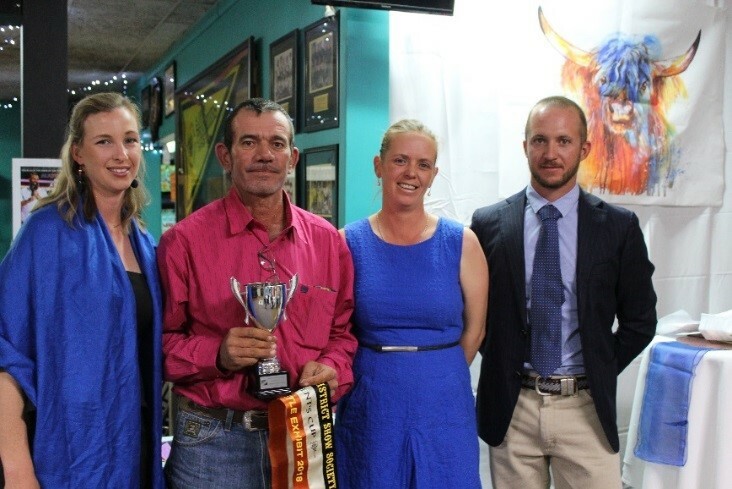 Judge, Tyson Brook, praised the high quality of cattle, which made picking winners no easy task. First-time exhibitors, Battlin Pastoral & Co. (Mallapunyah Springs) claimed the President’s Cup for Supreme Exhibit, with their pen of two heifers (180-250kg). 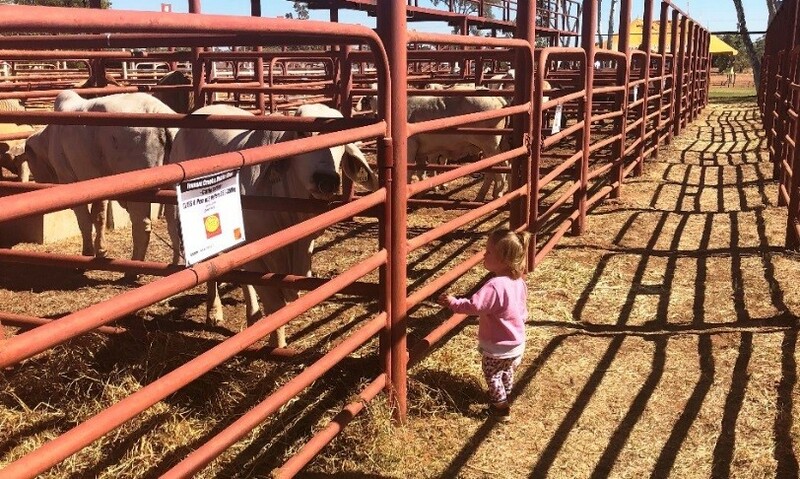 The red Brahmans were a hit with the local kids as they all lined up for a pat. The Aggregate Trophy was awarded to Brunchilly, who claimed a prize in five out of the eight commercial classes. The hot competition however was in the led calf section. George Milne demonstrated that Hugo was the Best Led Calf, while Waylon Ford and Annie were the Best Presented Pair. But there can only be one overall winner, and this year it was Waylon. Congratulations to all winners and placegetters. Figure 1. Caitlyn Collier inspecting the heifers on show day Figure 2 Battlin Pastoral Co. claimed the Supreme Champion trophy. (180-250kg) 9 Phillip Creek Brunchilly Battlin Pastoral & Co.